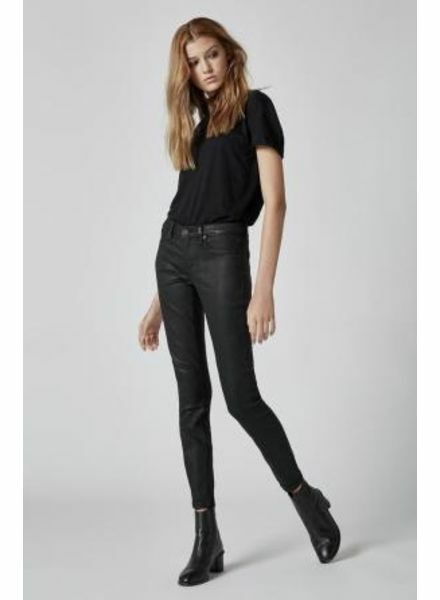 Super skinnycoated black denim perfection. You will LIVE in these jeans for Fall. Faux front pockets make for flattering smooth front.